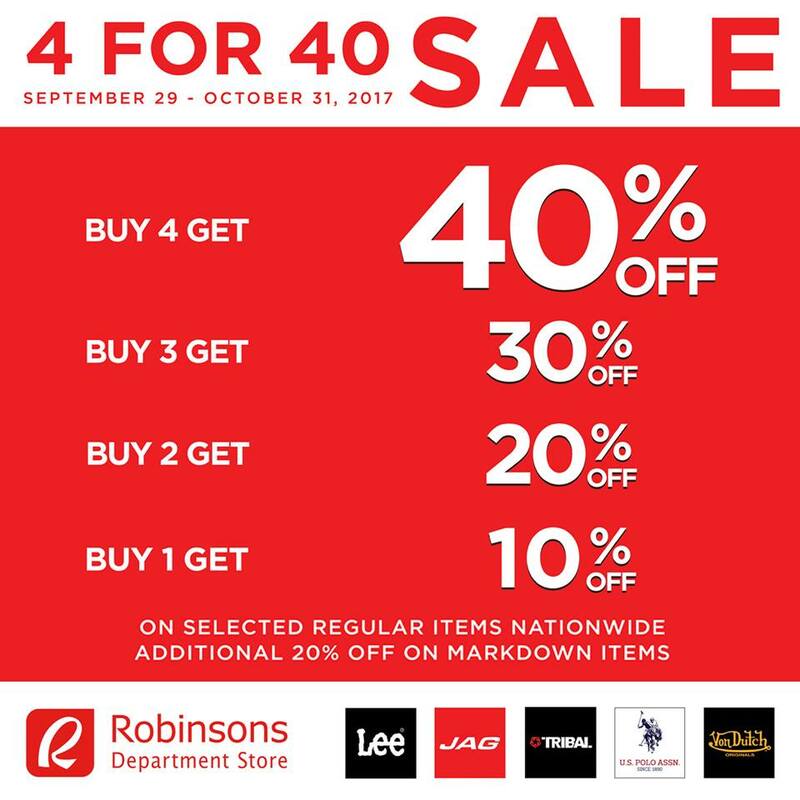 Strut your style this holiday season with Jag, Lee, Tribal, US Polo Assn and Von Dutch SALE at Robinsons Department Stores 4 for 40 Sale from September 29 to October 31, 2017. Buy 1 item and get 10% discount. Buy 2 items to get 20% discount. Buy 3 items to get 30% discount. 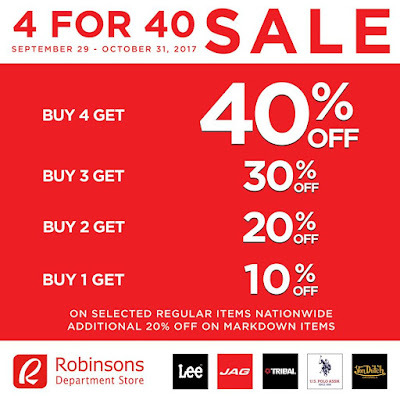 Buy 4 or more items to get 40% discount! Plus, get an additional 20% sale on markdown items. Hurry, you don’t want to miss your chance on the freshest picks from these brands!